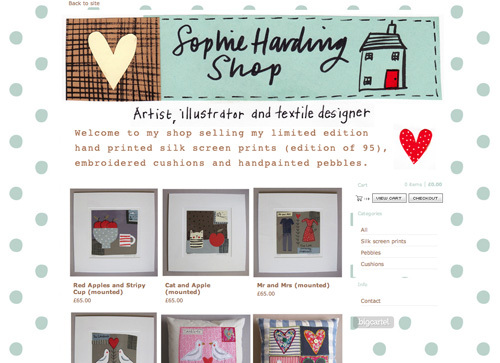 My sister Sophie has just opened up an online shop selling her limited edition screen prints, hand embroidered cushions and hand painted pebbles. It's a bit of a treasure trove... go here to have a look around! !